Everyone loves to eat delicious foods. But there are certain foods which should only be combined in order to reap its health benefits to the utmost. For the iron in plant-based iron foods to get absorbed easily, vitamin C foods should be given which can break down the iron. Hence it is recommended to have spinach salads or lentils with lemon or orange juice. Tomatoes consist of a disease-fighting antioxidant named lycopenes which prevents prostate cancer. 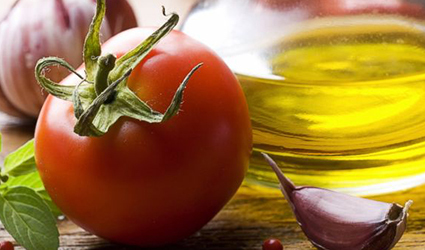 Cooking and serving tomatoes with olive oil could increase the absorption rate of lycopene. Turmeric is considered to be a powerful antioxidant with anti-inflammatory properties, which prevents arthritis and kidney disorders. Hence, it has been used as a flavoring agent while preparing dishes. It is highly recommended to add black pepper in order to increase the bioavailability of turmeric inside the body. Addition of black pepper and turmeric in milk would serve this purpose. Addition of vitamin D along with calcium-rich foods increases the absorption of calcium in the intestine. Thus it is recommended to have vitamin D foods like salmon, egg yolk along with calcium-rich milk. Since beans and chickpeas are rich in protein and fiber, it is highly recommended to consume them with carbohydrate foods such as rice in order to prevent diabetic issues.